Watermark Learning was founded in 1992. Besides our founding, a lot was going on that year. Here are some noted firsts and other happenings in October of 1992. 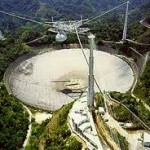 On October 12, the giant radio telescope at Arecibo, Puerto Rico, began to search for alien life, sending out signals seeking other occupied planets in space. The telescope, measuring 305 meters (1000 ft.) in diameter, is a joint operation of SRI International, the National Science Foundation, and Cornell University. October 8th – The Nobel Prize for Literature is awarded to West Indies poet, Derek Walcott. October 9th – A 13 kilogram meteorite lands in the driveway of the Knapp residence in Peekskill, New York, destroying the family’s 1980 Chevrolet Malibu. October 11th – Deion Sanders plays football for the Atlanta Falcons and baseball for the Atlanta Braves on the same day. October 23rd – Japanese Emperor, Akihito becomes the first Emperor of Japan to stand on Chinese soil. In honor of our anniversary, receive 20% off all live training courses (in-person and virtual). The discount will be applied at the time of registration. Use promotion code WML20 when registering.